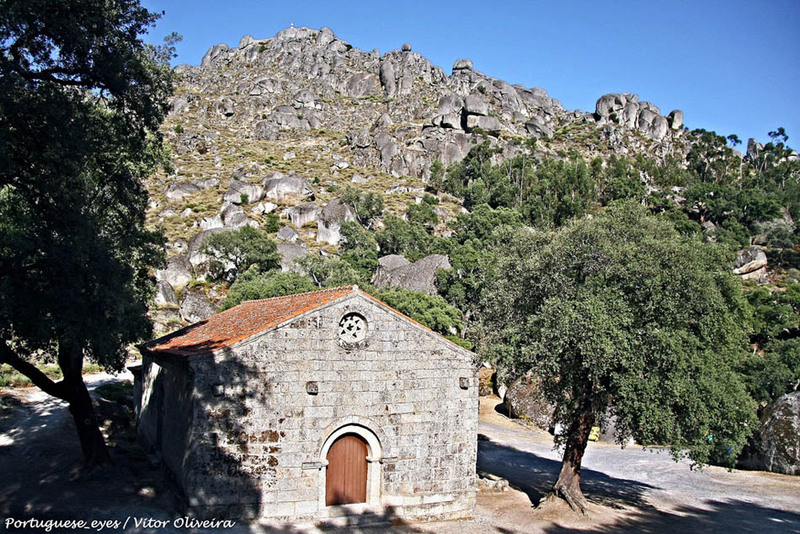 Go on a small hiking trip to visit the Capela de São Pedro Chapel in Vir-a-Corça, in Monsanto, Portugal. 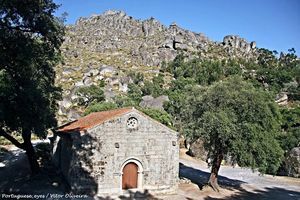 The Capela de São Pedro Chapel in Vir-a-Corça is a Romantic granite monument located nearMonsanto, in the district of Castelo Branco, Portugal. This chapel is linked to the legend that the hermit here saved a newborn from the Devils who had just taken him and, without means to feed him, was favored the miracle of a roe deer that would come daily to nurse him. To get here from Monsanto, you could go on a charming and simple trail (1 hour of length), descending along the GR-12 that follows a stone trail until reaching the chapel itself.